The Ryerson University Student Learning Centre (Toronto) has won a 2017 Excellence in Concrete Construction Awards from, the American Concrete Institute (ACI). It won in the Decorative Concrete category. 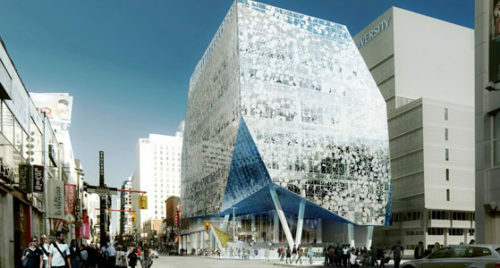 The new, eight-storey centre features an elevated plaza and glass façade with bridges to the existing library. The building is certified under the Leadership in Energy and Environmental Design (LEED) Silver program, and 50 per cent of the roof is dedicated for vegetation. 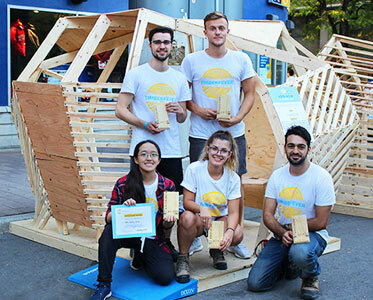 Last month, Toronto’s Ryerson University in partnership with the city-based Moses Structural Engineers, announced the winners of TimberFever—an annual competition where students are asked to build a life-size structure out of wood. 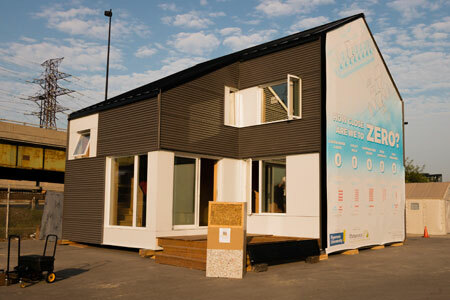 Sixteen teams from six universities across Ontario participated in this cross-disciplinary 36-hour design-build competition. The 2016 Architecture Symposium, held by Ryerson University’s Masters of Architecture class, took place on Feb. 4 in downtown Toronto. The symposium’s theme—re-practice—had speakers discuss the future of architecture, what architects could do to address the emerging needs of society, and what the role of the architect should be. 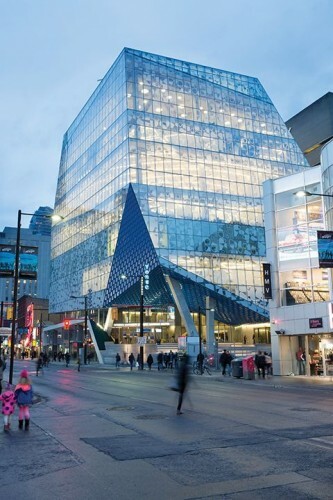 The Society of Façade Engineering has awarded Ryerson University’s Student Learning Centre in Toronto with a Façade of the Year for 2015 award in the new building category. “Based upon the simple premise of the competition, which is to recognize excellence in façade design and engineering as a specialist discipline, this year’s competition fulfilled those objectives with exciting entries from around the world,” said Chris Macey, chair of the award judges. 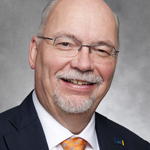 Ryerson University hosted its first-ever engineering conference in late March to start a dialogue on how Ontario engineers can play larger roles in the discussion and formation of public policy. 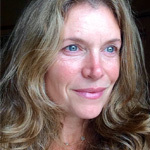 The Toronto school’s “Engineers Want In” conference addressed the limited engineering input when discussing public policy with the masses.